Schenck Process introduces the new vertical cartridge filter. 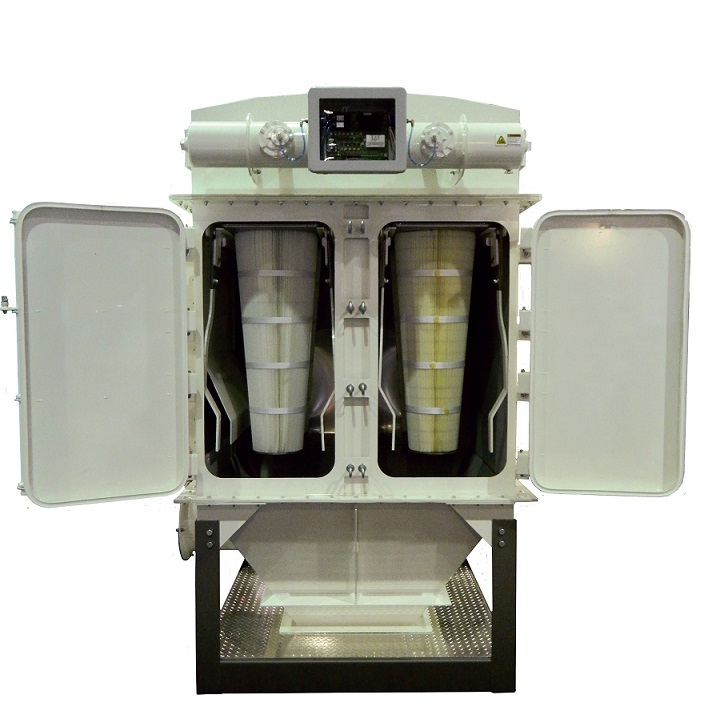 Schenck Process introduces the new vertical cartridge filter (VCF) that removes industrial dust, while incorporating a unique design for handling medium to high air volumes. The new dust collector comes equipped with many time and cost savings features. An easy-to-use cartridge clamp system simplifies replacement of the filter media minimizing maintenance time and lowering overall cost of operation. The filter is also equipped with a smart timer that includes an on-board sensor that reads the pressure drop across the filtering elements for on demand cleaning. This results in reduced compressed air consumption and greater cartridge life. A standard radial inlet allows for excellent material separation during moderate air volume applications, while the optional high-entry inlet with a pre-separation chamber is designed for optimal performance in high-volume systems. The chamber separates the largest powder particles safeguarding the media from excess loads of pollutants and guaranteeing longer media life. A robust design adds to the overall stability of the filter. Each unit is constructed with reinforced carbon steel that is rated for 6.5 psi Pred. The VCF has also been Pred validated through a full scale third-party explosion test. Explosion mitigation devices are also available with the new VCF.